Hello friend. You're not lame. Life happens and that always has to be the most important thing. These characters are not going anywhere. No stress and no worries. It's all good! A Match Made In Hell (http://reluctant-heroes.com/index.php?topic=598.0) could be a good place to start. It's a light and fun thread for the most part but also lends to character/relationship development for Mitabi and Anka. Also, the Arkin/Nanaba thread could be a good one. I am really a horrible person - so I am looking forward to your reply to the Utopia thread lol. But again - please don't stress. Everything will keep. I am here I swear! 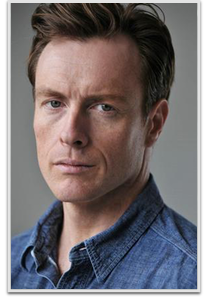 He was hard to find - but Toby Stephens would work as Hubert Fraser. Uhm - just pretend he has glasses on. I don't want it to come across like Hugh is just running around flipping people off lol. He's a good solider and a good vet - and there is a reason (not an excuse) as to why he is the way he is. I can totally see Laria as someone Hugh would count as an actual friend. They would have served together a fair amount of time and I'm sure Hugh would have appreciated her care for and interest in horses. Hugh is a very strong rider and maybe he and Laria were a good team on expeditions. Also, he's huge and she's tiny and that is always fun. Hugh would have been very sorry to see her hurt/leave the SC. He does have a concrete no smoking in the SC stable rule though lol. I read this at first as "Eld has a horse named Fuffy," and I was - yeah he would. He might be annoyed but never mad at Eld showing up to ask questions about his horse and its care. I don't think they would be friends - but they might dudebro nod at each other in public. Okay now, this could be fun. I have this vision of Hugh either forcefully taken her off or putting her on a horse lol. Maybe she has trouble on her first expedition and it falls to Hugh to look after her. (Okay...I admit it...my first thought reading your response I was like oh... grumpy Hugh gets an adoptive daughter lol). I'd love to have them in a thread for sure. I think she might be good for Hugh and he'd help her out as well. Let me know where/when you'd like to start! I'd really like to get Hugh into the Assualt thread for the SC for sure. And maybe something more fun as well. How'd I miss this LOL? Anyway - I'd be up for something with Mordred (he's scary y'all) and any of my characters. I'm not sure how they would be connected (all of them are too old to have him as an instructor or have been in training with him) but if you have any ideas - I would love to hear them! LOL Mordred is sort of like the anti Arkin isn't he? Annaliegh Ashford as everyone's favorite overcaffeinated chipmunk Miriam Gracey. Just stick some glasses on her lol. While I remember, I'd like to reserve Eric Toga from B: The Beginning for a character named Hubert Fraser. He's not in the Garrison lol! 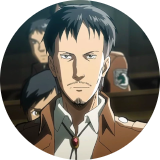 The Survey Corps is getting a veterinarian. Anka/Dot + Tyler - Dot drinking with instructors makes me happy lol. A later thread for sure. Arkin + Tyler - Yay! Sounds good. Arkin lives in the Garrison barracks in the officers section. I'm not sure people can just walk into that part of the base, but maybe Tyler finds him in the mess hall or just coming off duty so just walking across the grounds. He's used to random people seeking him out so he won't be bothered if Tyler just walks up to him. I'm here! Alive and trying to get caught up! Miri + Tyler - I think when Miri was younger she could honestly be very annoying to those who did not like chatty people with high pitched voices lol. However, she is the type of person who is smarter and more observant than people give her credit for. If she noticed that he was struggling or seemed scared, she'd want to try and help him. And she would never tell anyone his secret. They could make interesting friends as there is plenty Miri would need help with as well. Maybe he would take on a little bit of a big brother role in her life. I think a thread with them as trainees would be fun for sure. Anka/Dot + Tyler - I think Dot would visit the training grounds fairly often. After all - the bulk of the trainees would be joining his regiment. And he would be very happy to share the good stuff with any instructors he likes. He's also just a little nosy as well lol. Anka would have no actual issue with Tyler - just if he helps Dot with his drinking she may side eye him pretty hard lol. Arkin + Tyler - I think Arkin would be pretty well known among the cadets and younger soldiers because he'll give things like remedies for hangovers and birth control without judgment or having to sign anything. Arkin would be happy to help Tyler with whatever he needed. Hi and welcome to the game! 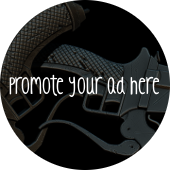 I'm happy to offer any of my characters. I write Anka Rheinberger, Dot Pixis, Arkin Holt, and Miriam Gracey. All of them are members of the Garrison. Miriam - I think it's possible that Tyler and Miri were in the same training group. I'd be happy with any threads set during their training days. Miri is/was the type to just never stop talking but she's good at her core. She's not very strong but her main 3DM skill is she is very fast. She was one of those cadets that was always buzzing around with their gear. Arkin - Arkin is a little older than Tyler but he has a reputation as a bit of a medic/apothecary. Basically people go to him when they don't want to face the actual medics lol. He also has a disability (mangled left hand from a cannon backfire) and has had to relearn how to do many tasks. He's also an all around nice guy. Anka and Dot - I can't think of anything off the top of my head, but they are prominent Garrison members and Pixis does like to visit the training grounds now and then. He also likes to drink. Anka does not like it when Dot drinks and she (and Gustav) have tracked him down at many taverns. Anka does like rules and organization though. If Tyler is ever investing something involving the Garrison, I imagine Anka and Pixis would know about it. I'm open to just about anything! Again - welcome to the game! Happy to have you! I like that idea. They have very different personalities for sure. I think it's logical to assume Gustav (and Anka) did not go right into being the Commander's aids directly from graduation. They must have pulled a few years as regular rank and file. Gustav and Miri could have been on a team together as younger soldiers. Maybe they had duty together where Miri just talked Gustav's ear off! Congrats! That is really awesome and I know you'll do an amazing job! !